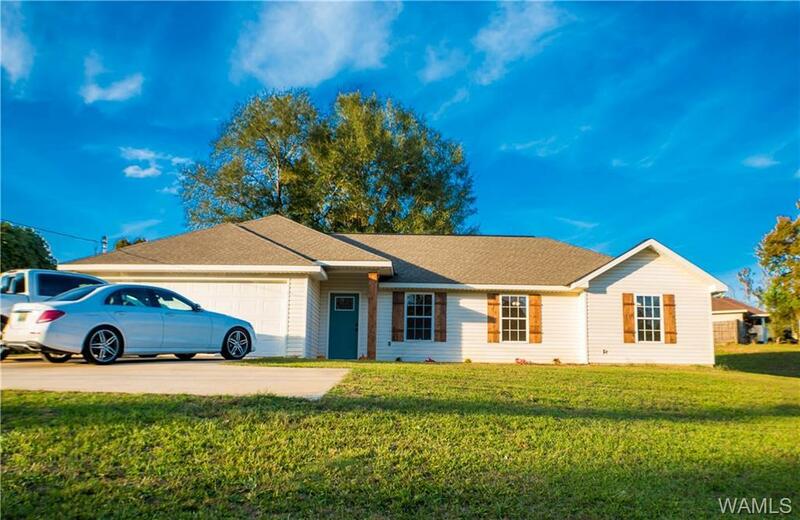 Newly totally remodeled home situated on 1.17 acres in Vance. Conveniently located 1 mile from the Mercedes Benz plant in the highly desirable Vance Elementary school zone. This is quiet, country living with easy city access. Luxury vinyl plank floors throughout. All new stainless steel appliances in kitchen including refrigerator. Covered back patio with fan makes for a beautiful evening spot to relax and unwind from a long day. Right of redemption may apply. Listing agent has an ownership interest in this property. Directions: From Tuscaloosa, Take Highway 11 North Toward Vance. Continue 1.2 Miles Past Covered Bridge Rd. House Is Located At The NW Corner Of Hi Rd. And Highway 11.